You can set default card attributes on list level to automatically update cards that are created or moved to the list. 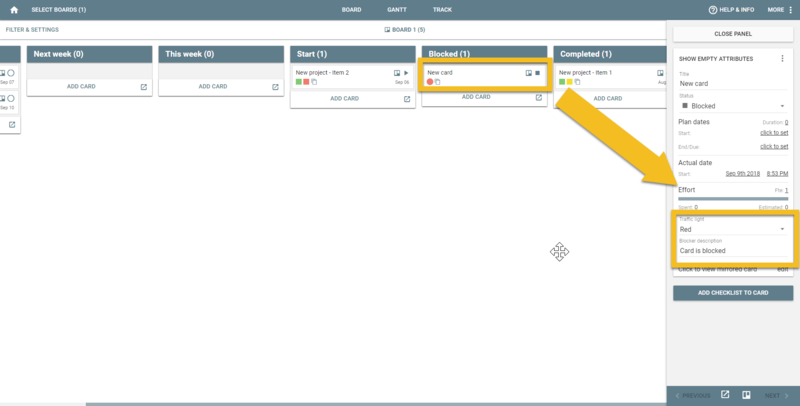 For example to automatically update the card progress status when you move cards to completed or to set the traffic light to 'red' when the card moves to the blocked list. 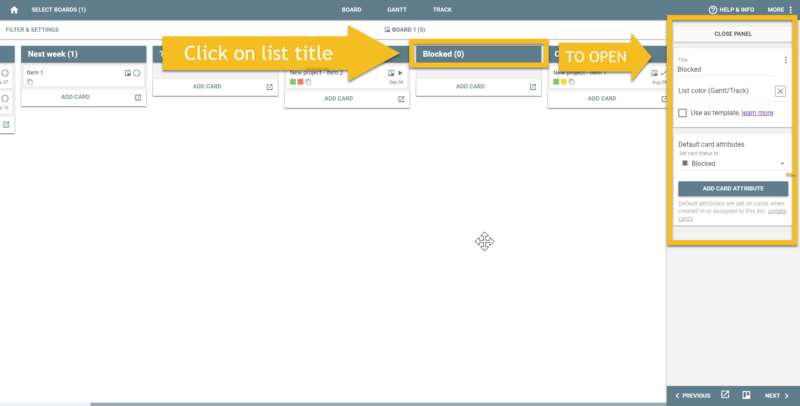 In the board tab, you can click on the list title to open the list details in the right hand side. 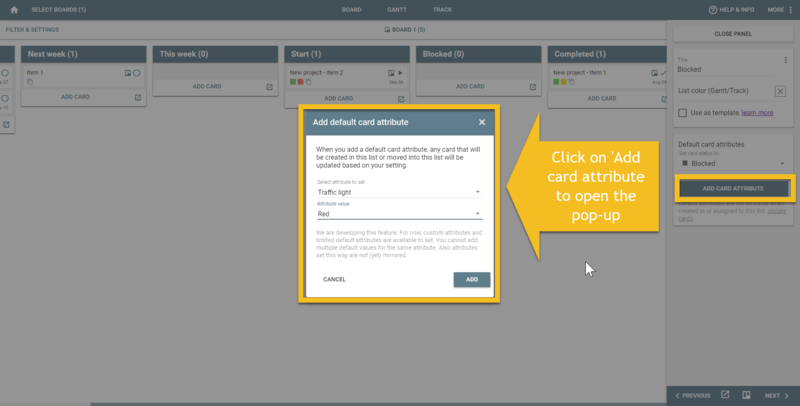 Here you can click on 'Add card attribute' to add a default card attribute, in this case we'll add; update traffic light to red when a card moves to the blocked list. 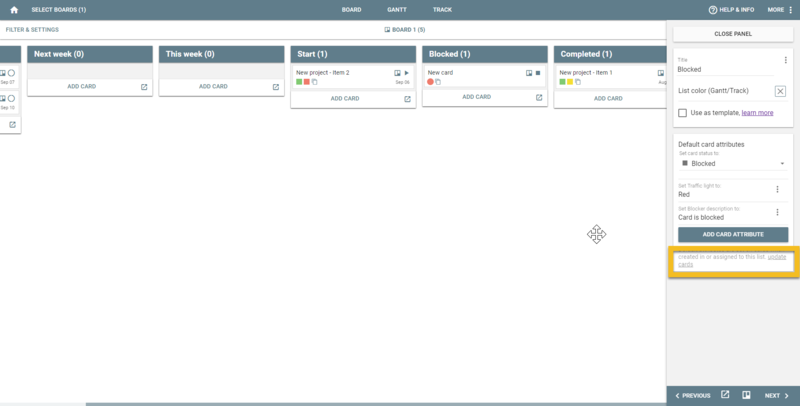 We also add a mapping to update the blocker description, which is a custom attribute to 'Card is blocked'. Now when cards are moved to this list, like 'New card', these attributes are set automatically. When you click on 'update cards' in the default card attributes section of the lists, all of the cards that are currently in the list will be updated based on the default attributes. Please note that we are continuing to develop this feature, at the moment these attribute updates are not (yet) mirrored (in case the card is mirrored), also not all attributes are available as of now.